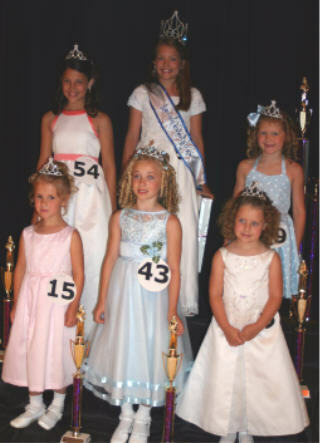 In 2003 for the first time the Little Miss Kentucky Pageant became a judged event with representatives in 5 age divisions being judged to determine the overall winner of Little Miss Kentucky. 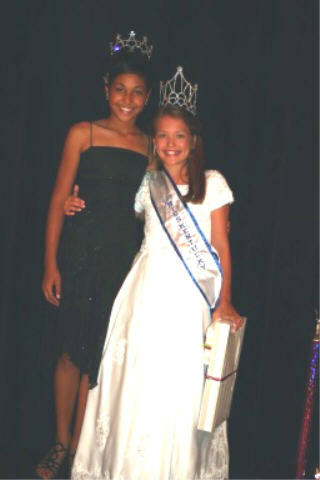 This is a natural pageant system that encourages a natural looking girl and discourages too much glitz and make-up. 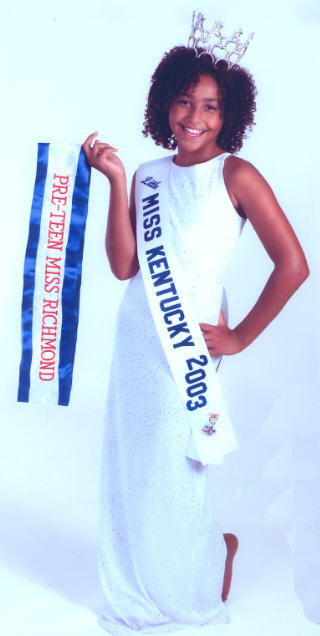 Tymber Redd, representing Richmond, became the first Little Miss Kentucky to be awarded the title by a panel of judges. 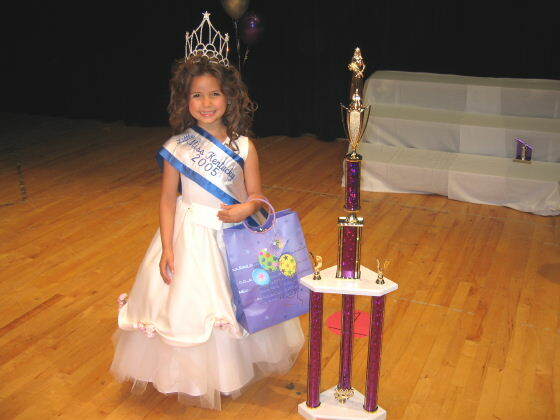 In 2004, Samantha Hundley, who represented Jeffersontown became the second Little Miss Kentucky. 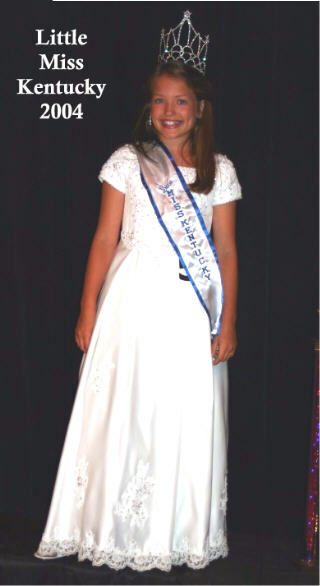 Little Miss Kentucky 2005, was Caitlyn Walters, who represented the Cumberland Falls pageant. 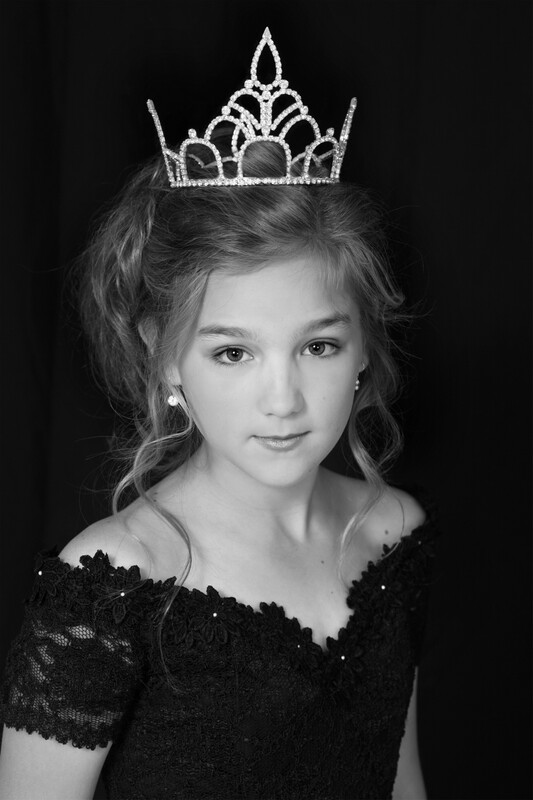 Below are photos of Tymber and Samantha and some links highlighting Samantha Hundley's year as Little Miss Kentucky. 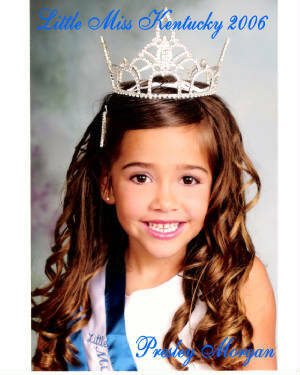 They require adobe acrobat to view and may take a little while to load. 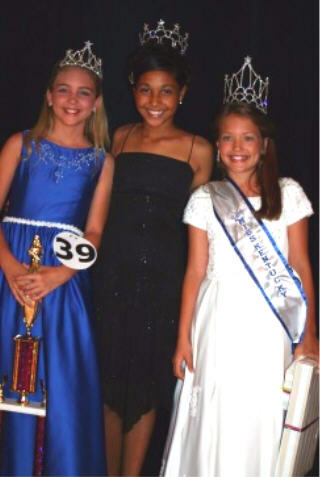 Overall Talent winner in 2004, Kelsey Debord, poses with Tymber and Samantha.